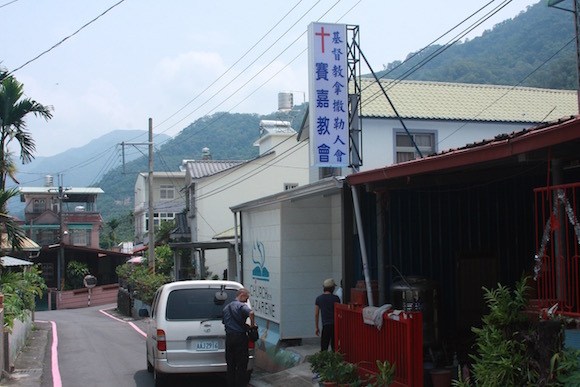 Teaching, Traveling, Trusting God in Taiwan – Thanks For Your Prayers! | Todd & Connie Lou…from Papua New Guinea…to you! 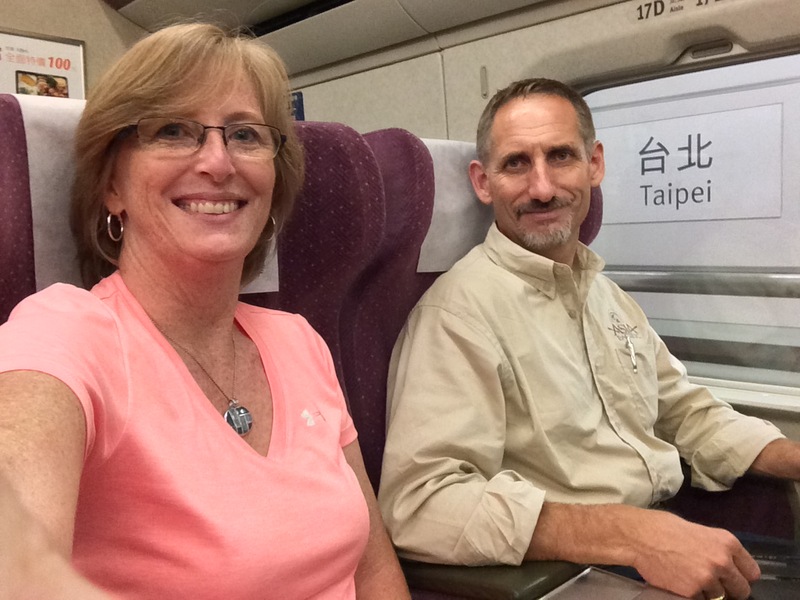 Teaching, Traveling, Trusting God in Taiwan – Thanks For Your Prayers! Southern Taiwan: I know that it’s been a long time since we have posted on our blog – and I apologize. As we were climbing into the van for departure to the next church on our visit schedule today, we realized that our bodies are getting a bit tired. In March we were full-speed ahead, getting ready for home assignment and the busy speaking schedule in the US and Canada. After traveling thousands of miles and sharing with so many of you, we returned to Manila June 23rd and by the 25th of June, I (Todd) was headed to Indonesia with our team. Arriving back in Manila on the 1st of July, just 9 days later found Connie and I flying to Taipei to start a 10 day teaching and training tour across Taiwan. We were so very blessed to share with the Yang Mei Church on Sunday the 12th, and then teach communications and Nazarene Mission International workshops for the Taiwan Pastor’s Conference during the week. Aboard the High Speed Rail from Taipei to S. Taiwan. Friday afternoon saw us climbing aboard a High Speed Rail from northern Taiwan to southern Taiwan, reaching speeds of 186 mph! Wow…covered in 96 minutes what would have taken more than 5 hours by car. We’ve never gone that fast on the ground and not gotten airborne! Today has been a 15 hour day, traveling to and visiting with pastors and church members in 6 churches from the metro areas to the mountains, finishing with preaching in Chaozhou – a message of Faith and courage in going where God has called us to go. Chaozhou Church – A Great Service…Great Group! 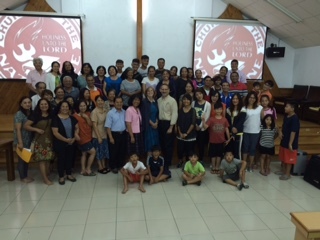 Over the course of the next two days we will continue to visit and share with 10 churches (17 in all) preach two more services, and then climb back aboard the High Speed Rail on Sunday evening, returning to Taoyuan and then back to Manila by Monday – all Lord willing! We are so grateful for the incredible partnership of the Taiwan District and all of those who have worked on transport, interpreting, hosting, and opening of their arms, hearts, and homes! God is so good. Please pray for continued strength and a special blessing on the church, people and nation of Taiwan! 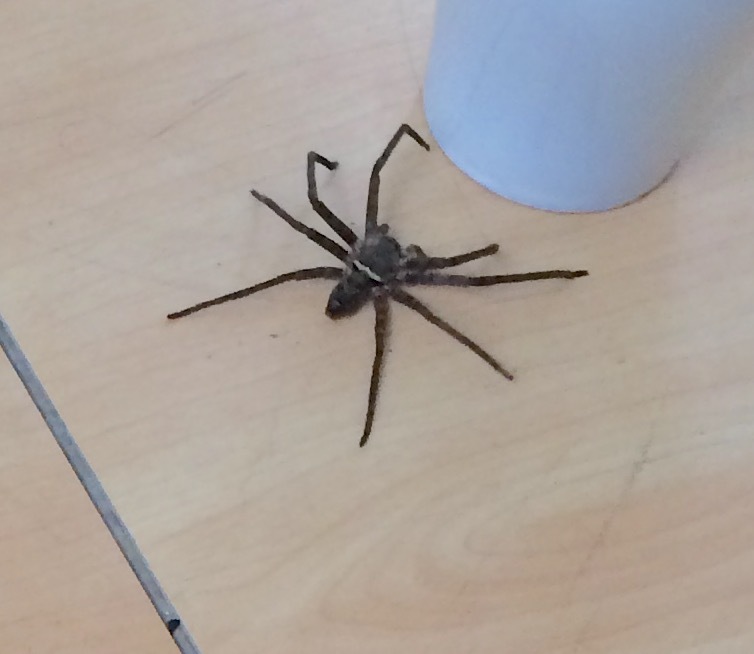 Oh…one final photo…just had to share…a special friend who came to visit us for coffee! We thought we had left them back in Manila! Previous PostWhat is our Jerusalem? The battles rage but through Christ, we will persevere with INDEFATIGABLE resoluteness.Next PostExtreme Work and Witness Teams Needed in Saipan. Jeanne, It’s by God’s grace for sure. We continually say, the only way that anything good will come of this is if God is in the middle of it! Surely not us! God bless your precious hearts! My mother used to say .”Too much to do, too much to do.” She would say that while she was raising 12 kids. I would love to advise you to slow down for your health’s sake. Incidentally, my mother lived until she was 88 years old. You two are a real blessing to me, and I am 86 years old. Thanks so much for the encouraging words. We feel so very blessed to be able to serve our God in this way. God is so very good! Guys, my wife and I always pray for you. You take care. Keep your eyes open. Watch each other. Jesus said: “Watch and Pray”. Thanks so much for the prayers. So greatly appreciated. Have a very blessed weekend!